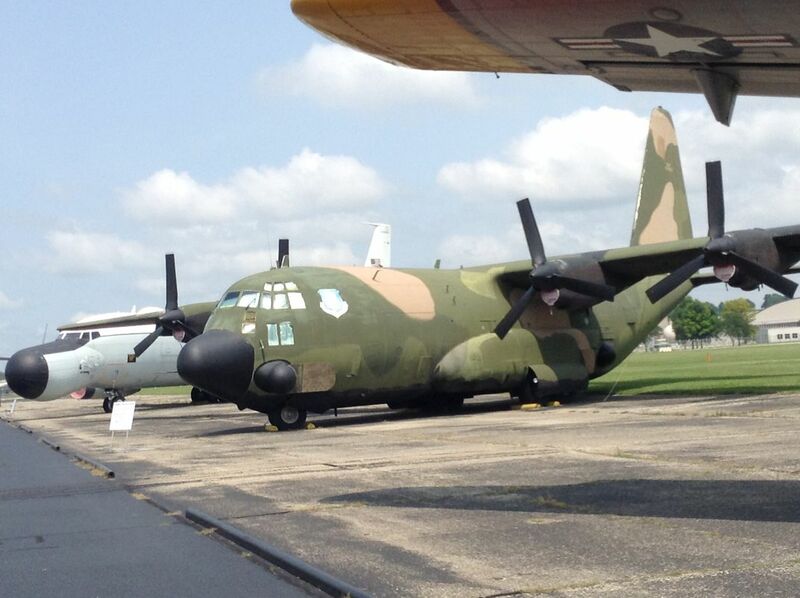 This is the AC-130A Spectre Gunship at the National Museum of the U.S. Air Force in Dayton, OH. Behind it an EC-135C can be seen with its distinctive 'snoopy nose,' and the wing of a YC-125B Raider can be seen above. Date Uploaded: Oct. 21, 2016, 6:22 p.m.